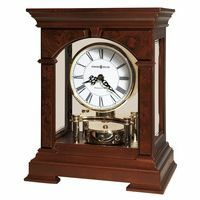 Handcrafted solid mahogany case with curl veneers, inlays in light color are giving this clock a typical English look. 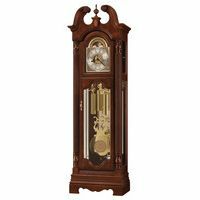 Hermle Clocks mechanical Cornell model English-style bracket clock with chiming nested bells. Beveled glass on all sides and drawer in the base. Elaborate brass dial with etched center and applied brass corner decorations. Black Breguet style hands. 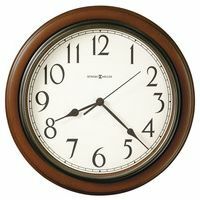 Features 8-day spring wound movement with 4/4 Westminster chime on 4 nested polished bells. Separate second feature, 11 jewel deadbeat escapement, automatic night shut-off.